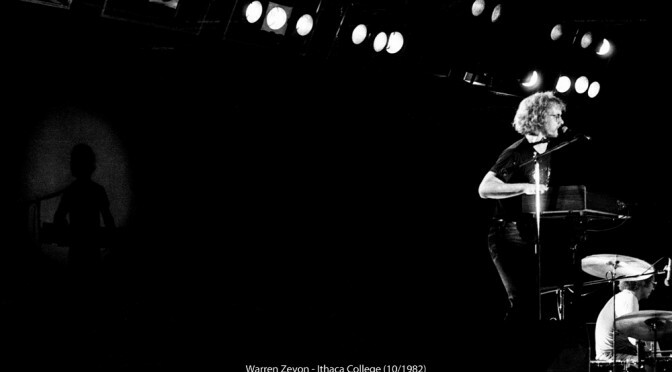 Of a Warren Zevon concert held at Ithaca College on October 2, 1982. I had scanned these months ago, but during a recent Facebook exchange, I got a chance to Post these to Flickr. If you are old enough to remember, awesome! Hope you enjoy “Memory Lane”! Images taken of Warren Zevon during a concert at Ithaca College on October 2, 1982. The images where originally photographed on Ilford HP-400 Black & White film, and then scanned into digital files.